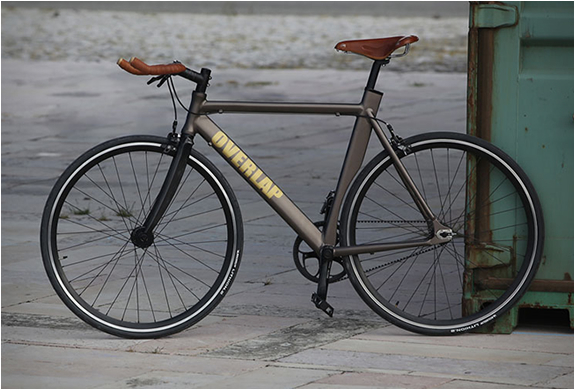 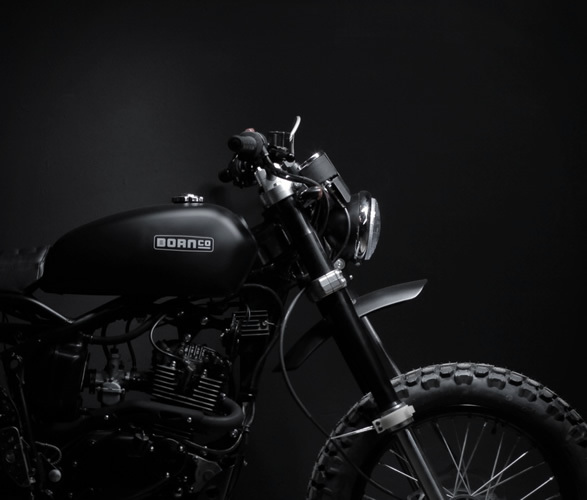 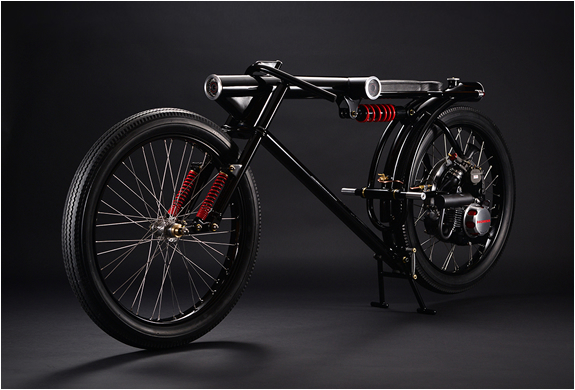 Born is a independent motorcycle company based in Barcelona, they design original, limited edition motorcycles for everyday rides. 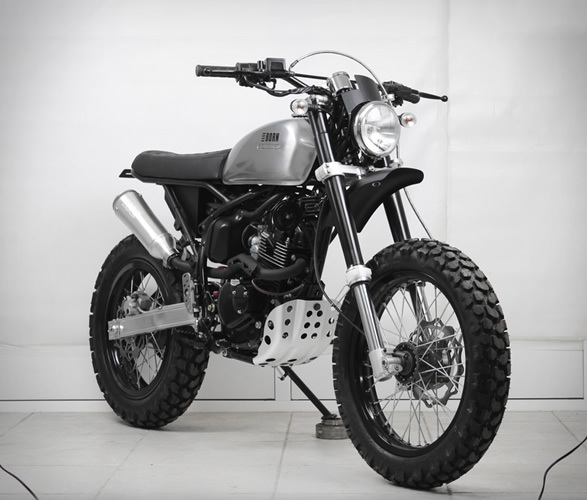 Their new Born Tracker is a lightweight scrambler motorcycle with a vintage look perfectly matched with modern features and materials. 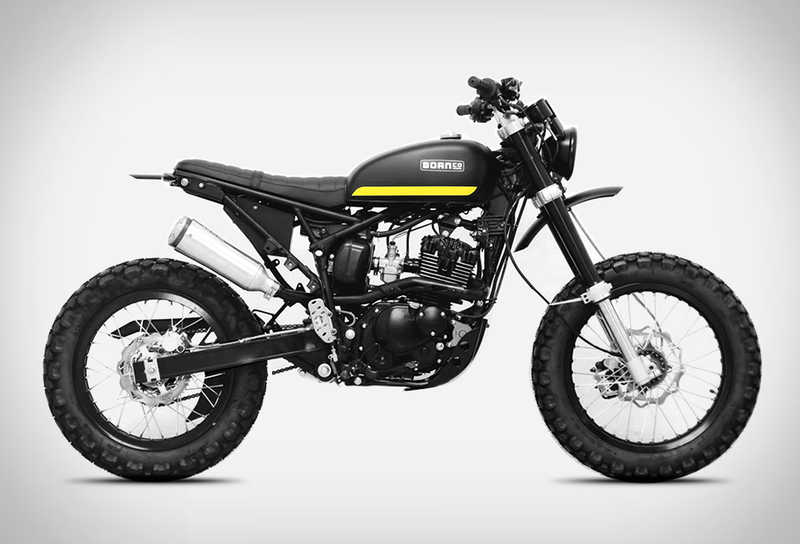 Built to endure, the little 125cc street scrambler is perfectly at home both riding cross country and in busy city streets. 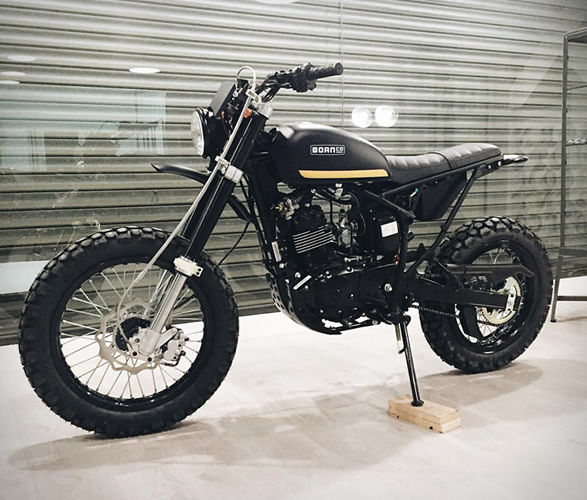 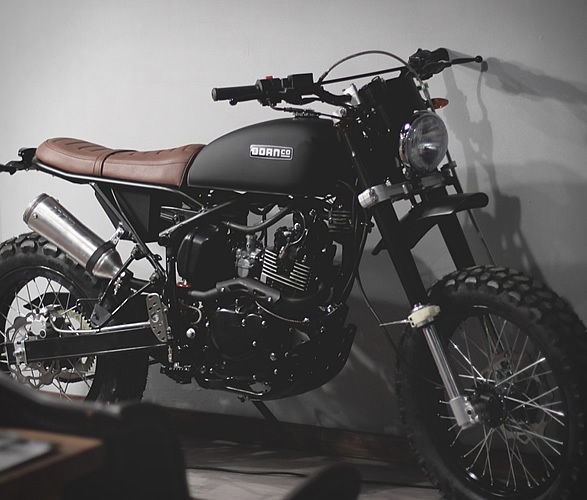 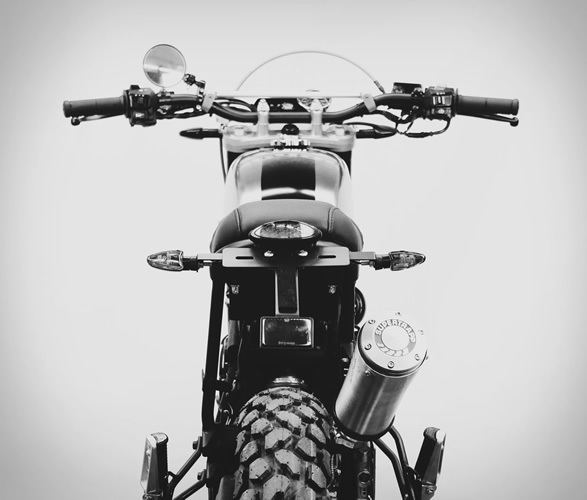 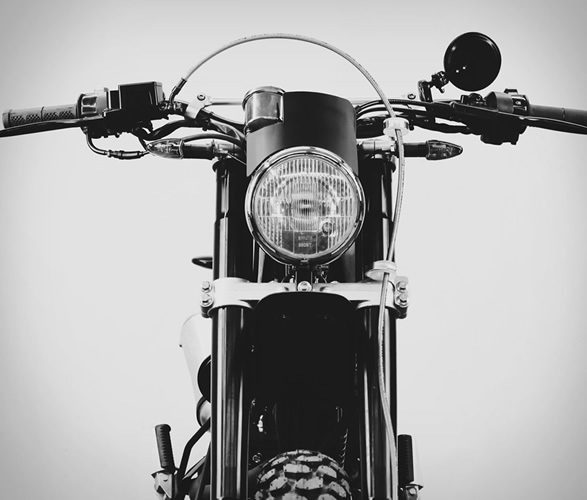 Details include a high rise competition pipe, electric start, custom steel tank, vintage scrambler seat, LED brake lights and an off-road style handle bar. 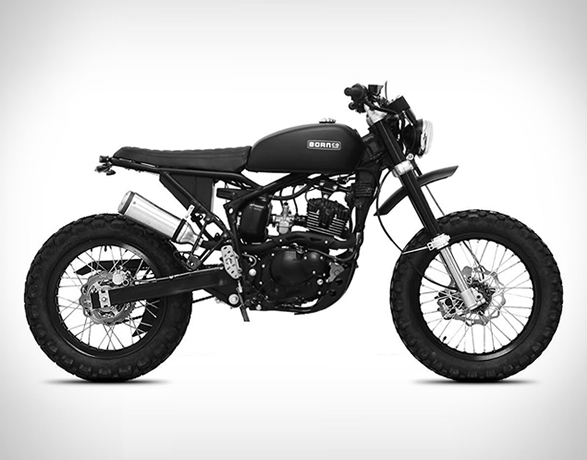 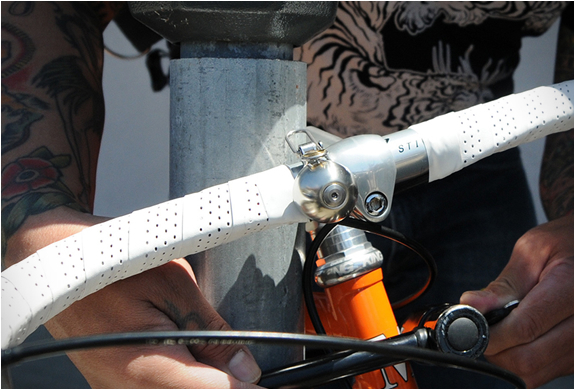 Born can customize a Tracker according to your needs of tank color, seat skin, and other details.